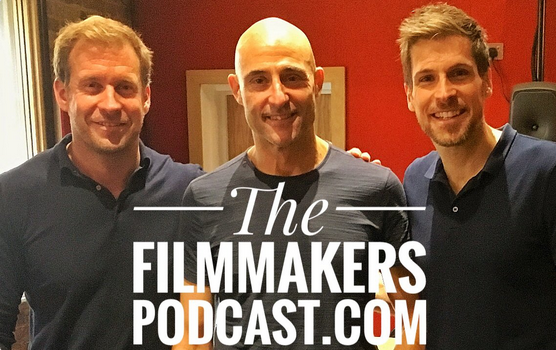 The Filmmakers Podcast is a podcast about how to make films. From studio films to micro budget films and get them made, how to make them and how to try not to f.. it up in our very humble opinions. Regular hosts Giles Alderson (The Dare), Dan Richardson (Retribution), Andrew Rodger (World of Darkness) and Christian James (Fanged Up) discuss how to get films made, how to actually make them and how to try not to f... it up in their very humble opinion. Chatting with regular guests which include Neil Marshall (Dog Soldiers) Mark Strong (Kingsman), Jack Tarling (God's Own Country), Scott Adkins (Expendables), Andy Nyman (Ghost Stories), Rupert Graves (Sherlock), Ben Caron (The Crown) Mark Sanger (Gravity) Joey Ansah (Bourne) Stu Bennett (Fanged Up) Scott Mann (Final Score) and many more all about the craft of making films. Dominic Brunt joins us to chat acting, film-making and directing horror & thriller indie films. He chats going from Emmerdale, a TV soap to making horror movies via running a zombie short film festival which got him and his wife Joanne Mitchell talking about making their own movie which they did with Before Dawn. And how making his debit feature was the hardest thing he’s ever done. How he shot in his own house and rehearsed it but how hard it was to direct and star in Before Dawn and how he wouldn’t do it again. And how it got picked up at Fright Fest and selling the film to Metrodome. Making period drama The Aftermath. And how the actors have transformed into something else when in costume. A different character and they can come with pre-conceived ideas. Rehearsal can help over come this. And he gives some great Directing tips to work with actors on set.